Adjustable safety razors take your shave from mild to aggressive with just one turn of the dial. 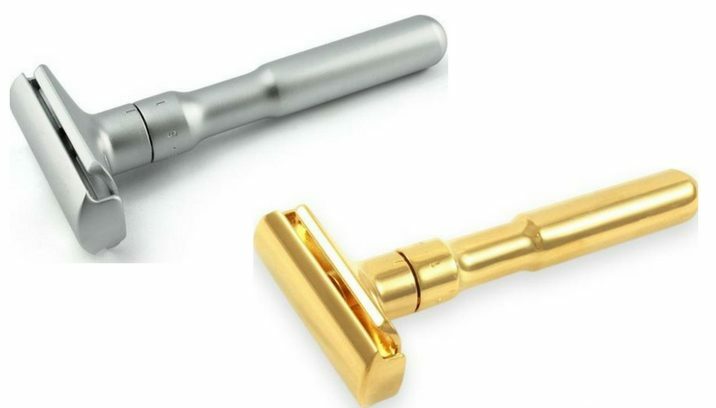 Whether you’re new to wet shaving or an experienced veteran, an adjustable safety razor allows you to customize and tailor your shave each time. 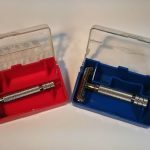 Adjustable razors do not have a fixed head and allow the user to alter the blade gap and blade exposure by deciding the aggressiveness of the shave. 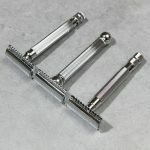 Another bonus of adjustable razors is that they work with most skin and hair types and are a good option for those with sensitive skin as they can be used with a low degree of aggressiveness. 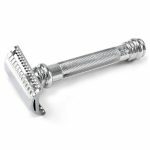 German brand Merkur creates some of the most popular adjustable safety razors the Futur and the Progress. Both models are two-piece designs but with key differences. The Futur is a heavier model with a top adjustable plate, whereas the Progress has a standard weight and its adjustable mechanism can be found at the end of its handle. Both made in Solingen, Germany they rank high with performance and quality. 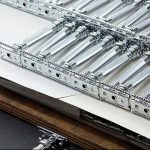 Other notable difference between the Futur and the Progress include handle style and weight with the Futur being known for its hefty and smooth handle, and setting options; Futur has 6; Progress has 5. The Futur is available with chrome, satin, or gold-plated finishes and the Progess is available with a long or short handle. The shaving veterans at Parker launched their adjustable model, the Parker Variant, in 2017. With a standard size and weight, the model has five settings and its dial can be placed on the half mark, giving users even more setting options. 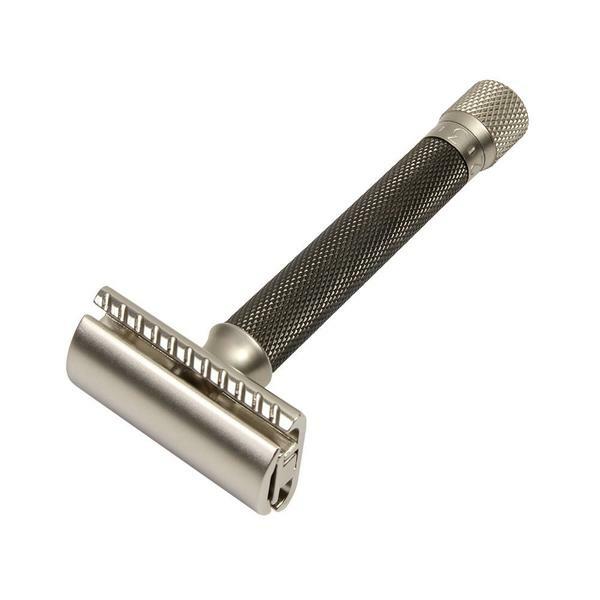 It works well with all hair types and lengths and has a knurled handle to ensure a firm grip. The Variant is available in three finishes -satin chrome, graphite, and rose gold. Developed from a crowdfunding campaign, the Rockwell quickly gained popularity for its precision. The original 6S model is made of stainless steel with newer models (6C and 2C) are coated in white chrome. 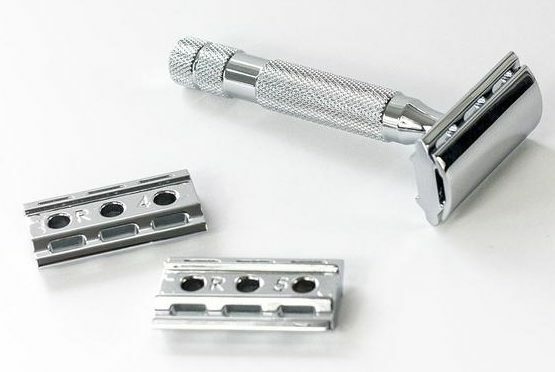 Unlike traditional adjustable razors, the Rockwell models come with adjustable plates rather than an adjustable knob. All three models 6S, 6C, and 2C have a standard size knurled handles, providing a firm and comfortable grip. 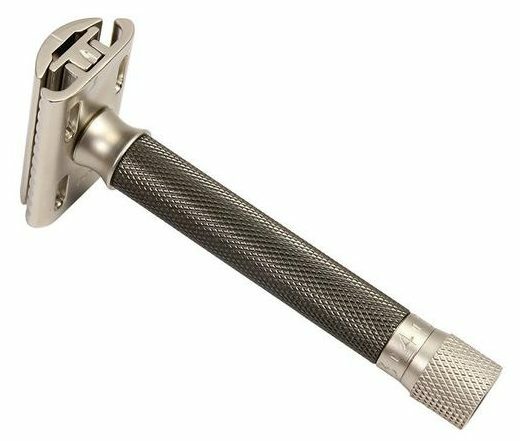 The Rex Supply Co.’s Ambassador Adjustable razor is one of the newer adjustable models on the market. Created to reflect the quality of classic shaving models, the REX Adjustable razor, meaning Revisit Excellence, offers a modern alternative to vintage classics. Proudly made in the US of 316L Stainless Steel that is corrosion resistant, it has a red dial marker, so you can easily identify which setting you’re using. It also comes with a higher than average retail price ($324 CA, $249 US) but users agree that its performance and craftsmanship are well worth the investment. Other notable aspects include its manufacturer’s lifetime warranty and the individual serial number imprinted on each razor. While we have our favourites, preferences will differ for each person. If you haven’t yet tried an adjustable razor, we’d recommend trying one as it’s a convenient way to work your way up to an aggressive shave. It’s also a great option if you prefer to change up the aggressiveness or closeness of your shave. Like with other safety razors, you’ll have to find a blade and angle that work best for you and give you the highest quality shave. Shop adjustable safety razors here. My very first razor when I was a beginner was the (Merkur Progress) and while still pretty good, now that I have experience I MUCH prefer the (iKon B1 OSS) that I just bought at Fendrihan and while I first thought 158$ was expensive, it is totally worth every ¢ out of it. I find the handle on the Progress to be too small, the weight to be not as well balanced as on the iKon and you’ll find urself always using the same narrow adjustements on the handle such as #2-3 for me as all others were impractical so more “marketing bs” imo and it was a massive shaving cream clogger. The edge of the handle made it impossible to use with pretty much any stand so that’s to consider also as it is non-standard. 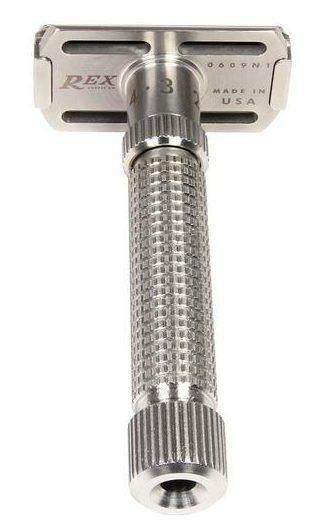 Overall I’d say it is best to get a dual razor head like the (B1 OSS) that let you use open or closed combs, it will make a lot more difference than gimmick height adjustement.